I have done a lot of research on drainboard sinks — get to all my resources here. 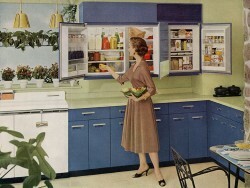 Looking for a new retro refrigerator? Read my comprehensive guide – I did a lot of research to round up all the options. Steel kitchen cabinets — a specialty here, we have more info on vintage metal kitchen cabinets than you are likely to find anywhere on the www. Vintage steel kitchens cabinets are one of my areas of greatest interest. 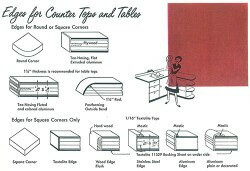 See my history of steel kitchen cabinets and also my encyclopedia of all the old brands. Want to browse all of our kitchen stories — click here. Environmental and safety issues come first. Vintage houses can contain vintage nastiness such as lead, asbestos, and more. Consult with properly licensed professionals to know what is in your house, and how to make informed decisions about how to handle. 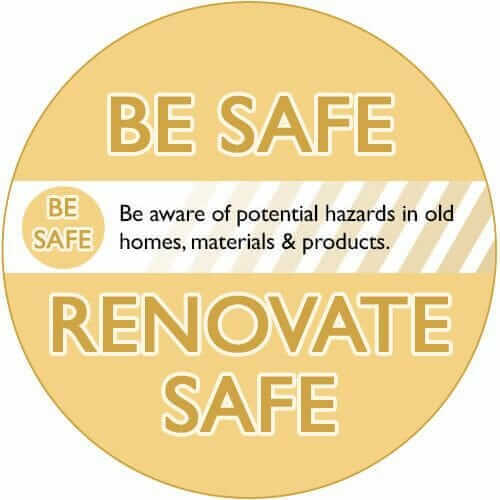 For more info, see our Be Safe / Renovate Safe page. If you are new to your old kitchen — go slow. Before you proceed thinking you need a gut remodel, for instance, get to know your kitchen first. Live in it a year to get to know its flow and how it works for you and your family. This includes getting a rich, deep understanding of whether there is a real need to alter the architecture. During this time, you’ll also be able to get to know its original style and features. You’ll have time to explore your “Retro Kitchen Style” — because there’s way more than one way to retro (?hey, I used “retro” as a verb, for the first time ever!). Wait a year — mull it over — and it may even turn out that, once you learn about the original features in your retro kitchen, you might come to love them — and you may not need to spend the money, and endure the aggravation of a major remodel. Consider updates that are in harmony with the original architecture of your house. Sure, an original retro kitchen may be “dated.” But every kitchen is dated. For example: Don’t kid yourself: Put a 2013 kitchen in your 1955 house… and in a few years that 2013 kitchen will be “dated”, too — and, dated to the wrong year. But, put in a kitchen that is harmonious with the original 1955 architecture — and at least its date will match the date of the house. “Yes, but what about ‘resale’?, folks always ask. Well, my point of view is: Mid century houses are now old enough to be considered “historic”, either officially or non-officially. “Historical restorations” or period-appropriate remodels are desirable to folks who are “into” old houses. And, you can do a period remodel that isn’t “over the top” — one that’s kind of “flexible” (this is what I did with my three bathrooms.) On the other hand, going back to our example, a 2013 kitchen in a 1955 house is unlikely to appeal to a shopper 10 years from now who is into what’s new in 2023; in reality, your financial loss* (*See item #5, below) on your fabulous 2013 kitchen remodel will only grow each and year thereafter, especially if you put in “trendy” 2013 stuff. And finally, mind you, “trendier” has a shorter lifespan every year, again, IMHO. Disclaimer, thought: All this is IMHO, do not consider this financial advice, this is something you need to do your own research and consult with your own professionals on, based on your market conditions. Humble materials — This point kind of goes with the one above. 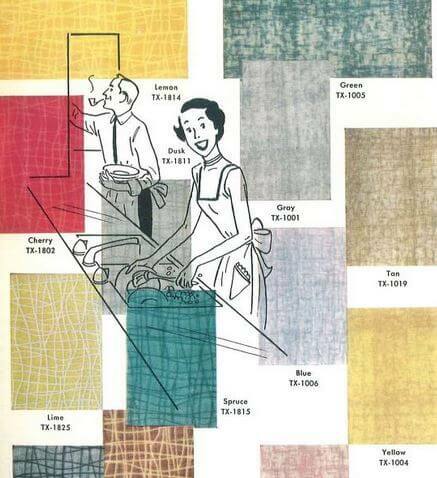 Many — probably “most” — mid century and older houses were decorated with materials that *today* would be considered kind of… low brow. Things like: Simple wood kitchen cabinets… laminate counter tops… vinyl flooring… even knotty pine. This is pretty much opposite of what the “mainstream market” wants to sell you today — (more expensive) granite… marble… blinged out cabinetry. I personally found it a relief not to have to spec out my kitchen to “Keep up with the Joneses.” My kitchen “fits” with the rest of my (humble materials) house. And by skipping the luxe, I think I saved a lot of money. 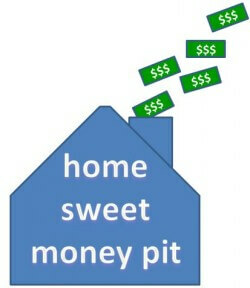 Recognize that most major remodels are likely a bad financial “investment”. Data indicate that most homeowners will not recover the cost of a major kitchen renovation when they to go re-sell. Read my story looking at the annual research — and be aware. Save your time, energy and money for the final fix. Unless there is a safety or environmental issue involved, I am not one for putting a drop of money into a space as a “stop gap measure” while we agonize over the big picture plan. Okay, I might paint the wall (off white), so that I can “see” the space better so I can figure out what I want. My husband is really good about reminding me: An old house is a time and money pit constantly presenting costly surprises. Be careful about squandering on half measures. ‘Invest’ in making plans that will endure for years… and then spend the time, energy and money — once. Get a subscription to Consumer Reports. When you are in spending mode like this, your head will spin. As far as I know, Consumer Reports is the only resource out there to do testing to try and really triangulate to “value”. Disclaimer and clarification to all of the above: I am not a contractor, an architect, a designer, a real estate expert or variant of some such profession. I am writing this from my perspective as an owner of four old houses over my lifetime, and as a blogger who has been writing on this topic for a while. Do your own research… identify and engage your own properly licensed professionals… make thoughtful decisions that are right for you. Readers’ ideas — I asked readers to add to my list — and they came up with many more, terrific tips on things to consider when you’re considering a kitchen remodel.